The Weddell seal is a relatively large and abundant true seal (family: Phocidae) with a circumpolar distribution surrounding Antarctica. 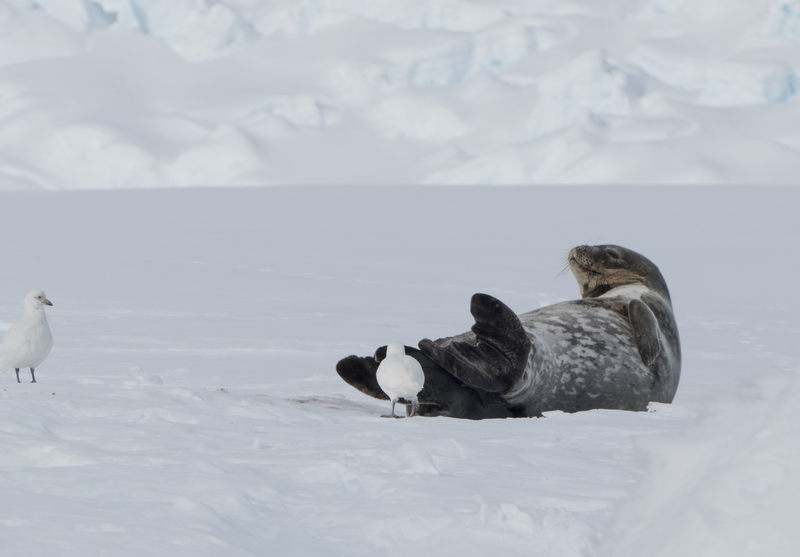 Weddell seals eat an array of fish, krill, squid, bottom-feeding prawns, cephalopods and crustaceans. - The snowy sheathbill is an omnivore, a scavenger, and a kleptoparasite. It steals krill and fish from penguins and sometimes eats their eggs and down-covered chicks. It also eats carrion and animal faeces.